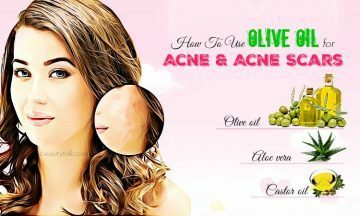 Can Olive Oil Remove Acne & Acne Scars? Acne is caused due to poor hygiene, poor diet, hormonal imbalances and other factors. Acne scars often appear on your face, chest, back, and neck. 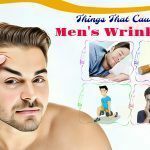 To remove these scars, you can rely on many skin care products available in the market. But, these products can harm your skin and compose of many harmful chemicals. 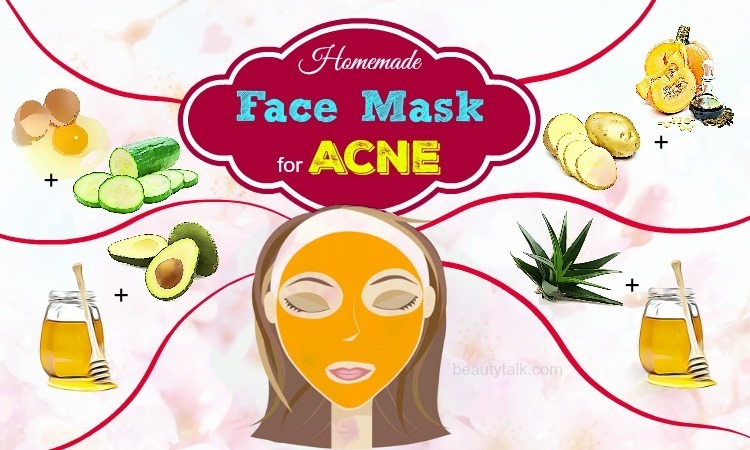 Thankfully, there are many natural ingredients that can decrease the appearance of acne and acne scars. Olive oil is one of such ingredients. 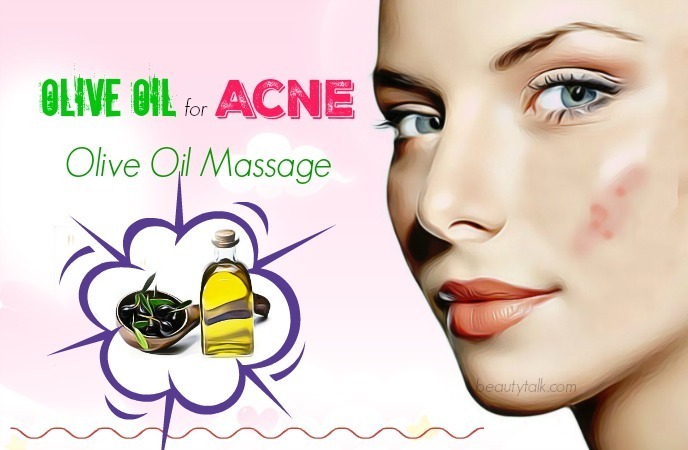 We, Beauty Talk, will tell you how olive oil works and how to use olive oil for acne and acne scars treatment. Let’s get started! Is Olive Oil Good For Treating Acne & Acne Scars? Olive oil helps to destroy germs that cause acne since it is naturally antibacterial. In addition, the vitamin E found in olive oil restores the natural oil balance of the skin that helps to prevent acne and its scars. Olive oil is also enriched with vitamins D, E, and K, beta-carotenes, and mono-unsaturated fatty acids, which strengthen the immunity to prevent infections causing acne. Olive oil  is also an ideal choice for acne scars removal. Being rich in vital vitamins, olive oil helps to quicken the healing procedure of acne scars. 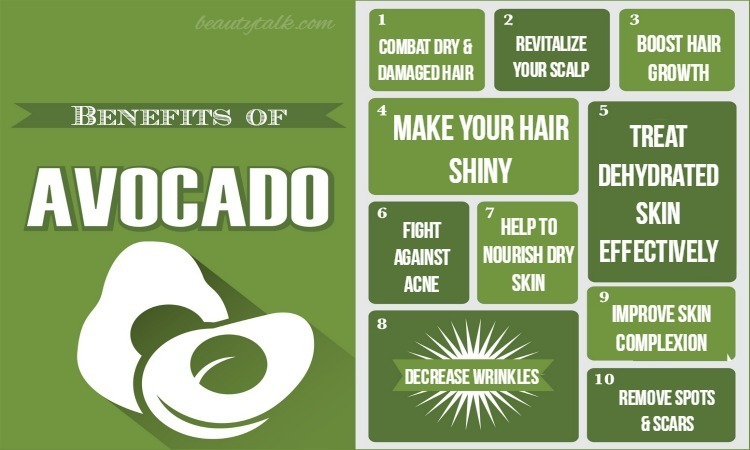 It also keeps oxidative damage at bay because it is high in antioxidants. 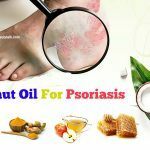 Plus, the oil also helps to boost the healing procedure of scars from acne as well as other skin ailments owing to its anti-inflammatory properties. Apart from that, due to its proteins and vitamins A, B1, B2, E, C, and D, olive oil keeps the skin clear and healthy. 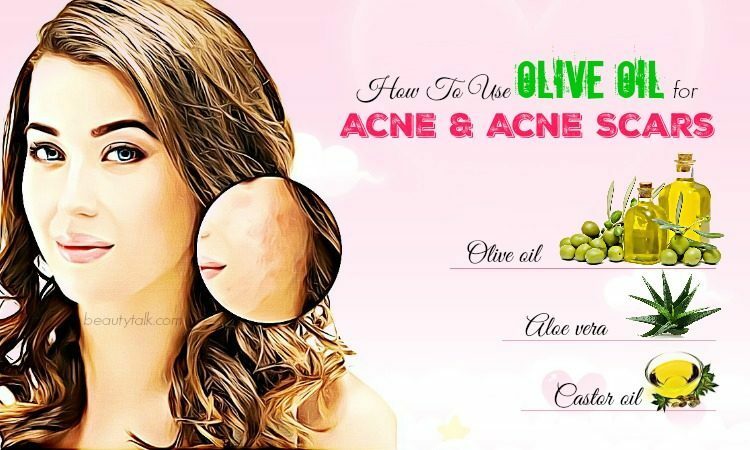 You can either use olive oil alone or in combination with other ingredients to remove acne and decrease the appearance of scars and keep the skin healthy. Combine the two ingredients together. Then, massage this mixture in circular motions on the skin. Rinse with water after five to ten minutes. Follow the process every day until you get the desired results. Get some extra virgin olive oil and massage it on the skin in circular motions. Then, leave your application overnight and rinse using mild cleanser and water in the morning. For best results, repeat the process nightly. Peel and mince the garlic cloves and blend it with the olive oil into a paste. After that, drink 1 tablespoon of this concoction followed by an eight oz glass of water. For quick results, follow the process twice in a day. Peel and mince the garlic cloves at first and later heat the olive oil in a pan. Then, add the minced garlic to the hot oil and after that, cook for fifteen minutes. Strain the oil and remove the garlic. Massage this garlic oil on your affected region in circular motions before your bedtime. Leave it on all night and in the morning, rinse using lukewarm water & mild cleanser. Repeat this method daily. Simply, mix the castor oil and extra virgin olive oil in equal parts. Later start applying this mixture on the problem part in circular motions. Take a clean washcloth and soak it in hot water. Thereafter, place it over your application and afterward, remove the washcloth. Rinse using water and pat dry. Try to repeat this method once in a day. The first step is combining the ACV with the water. Use water to wash your affected area and pat dry. Start applying this combination on the affected region with a cotton ball. Massage some olive oil in circular motions once it dries and pat dry. The method can be repeated once in a day. Steaming aids in unclogging the pores and providing relief from the problem of acne. Tea tree oil deals with acne-causing bacteria since it contains antibacterial properties. Wash the face and pat dry. Later mix the olive oil with the tea tree oil. Take a clean washcloth, soak it in hot water and then wring out excess. After that, place the cloth over your affected area. Apply the oil and gently massage in a circular motion. Keep it on for several minutes and rinse off using water. The method should be repeated twice daily. A study showed that tea tree oil has antimicrobial and antifungal abilities and can be used in treating various skin problems . Particularly, the antimicrobial and antibacterial compounds present in this oil work effectively against the bacteria causing acne breakouts. According to a study in 1990, 5% tea-tree oil & 5% benzoyl peroxide both had a significant effect in reducing acne . Honey consists of anti-inflammatory characteristics which reduce the redness and swelling associated with acne. A 2013 study indicated that honey can control the P.acne bacteria by manipulating the follicular microenvironment . Mix all the ingredients together to make a paste. Then, start applying this combination on acne affected areas. Slightly massage for few minutes in circular motions. Rinse with warm water after 5 minutes and pat dry. 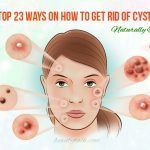 Regularly repeat the process to remove acne. Simply, combine the olive oil and lavender oil together. Gently massage this combination on the affected regions for a couple of minutes. Let the application dry. For best results, repeat the procedure once in a day. Mix together the two oils and apply it directly to the affected areas. Rinse with water after few minutes and pat dry. The process can be repeated two to three times in a week. Mash the avocados and add the olive oil. Mix well to get a paste. Then, wash your face with warm water. Thereafter, slather this mixture on your affected areas generously. Rub it gently for the duration of 5 minutes and rinse using cool water. Do this process daily. Warm up the olive oil slightly and gently massage it over your acne scars by moving the fingertips in small circles. Keep massaging for around 4 to 5 minutes. Take the washcloth and dip it in warm water. Afterward, remove the excess oil with the washcloth. It’s suggested to do this process twice per day. 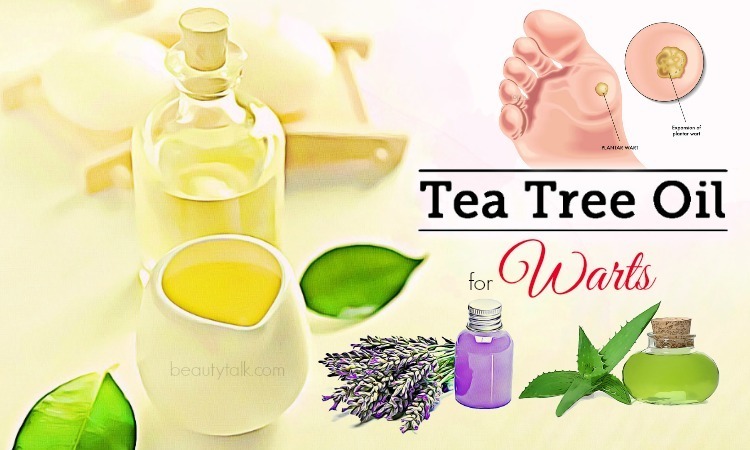 Tea tree oil is known for its healing properties so that it can deal with many skin ailments. 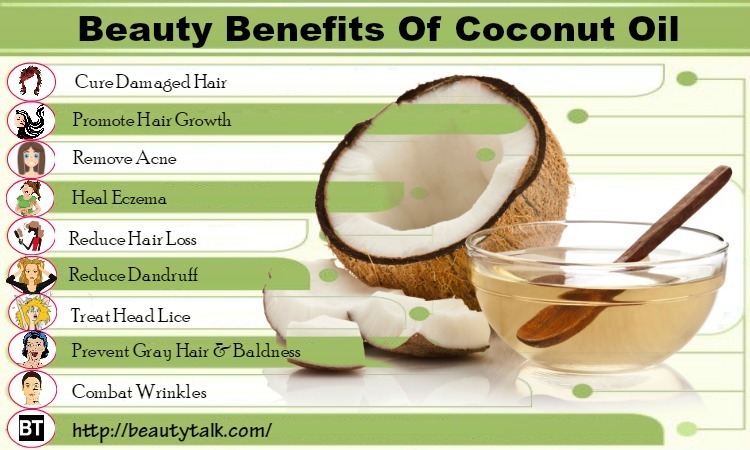 Plus, it’s rich in antioxidants, which can remove your scars easily. The antimicrobial properties found in the oil can make your skin less-vulnerable to acne. 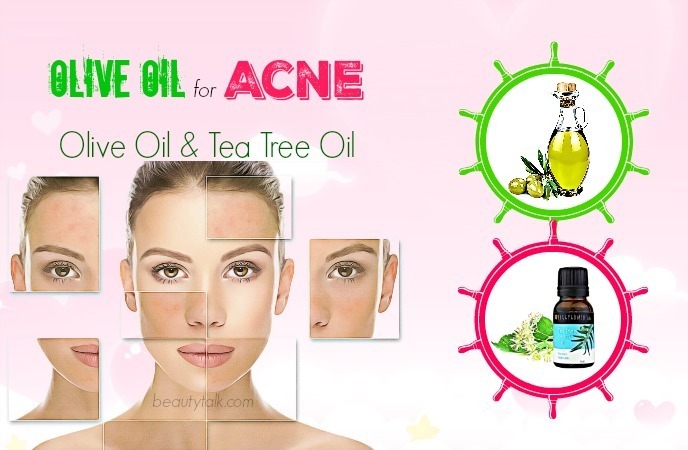 Simply, combine the tea tree oil and olive oil together and apply on your acne scars. Massage for 1-2 minutes and leave on overnight. Rinse it off the next morning. For fast results, repeat this treatment nightly before your bedtime. Many skin issues can be treated by aloe vera. This plant consists of healing agents, which boost the production of new skin cells and fade away the dead skin cells. A study in 1999 showed that applying aloe vera gel topically has been demonstrated to significantly lower facial acne . 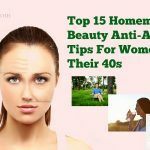 Furthermore, it is also beneficial for increasing collagen synthesis to help heal scars as well as other marks on your skin. Take an aloe leaf and extract its fresh gel. Then, mix the gel with the olive oil. Thereafter, apply the mixture on your affected area and gently massage it. Leave it on for at least 60 minutes and rinse it off. You should apply this mixture two times per day. You mix the olive oil and turmeric together and apply this mixture on your acne scars. Keep it on for fifteen minutes and rinse it off. This process can be followed 1-2 times per day for quick results. Make a scrub by mixing the sugar and olive oil together. Then, use the resultant scrub to massage your skin for a couple of minutes. Finally, use lukewarm water to remove the scrub. Repeat this remedy every alternate day. 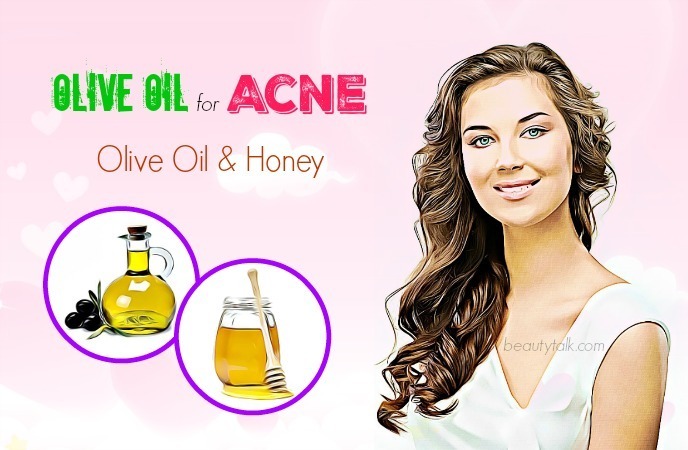 You combine the two oils together and apply this oil mixture on your acne scars. Gently massage it in and leave the application to sit for four to five minutes. Lastly, rinse it off using tepid water. 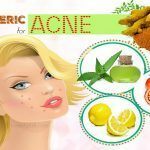 It’s suggested to use this remedy two times per day until the acne scars are removed completely. Make a paste by mixing the two ingredients. Then, use this paste as a facial scrub by gently rubbing it on the skin in circular motions. After that, rinse the scrub off using lukewarm water. This scrub can be used once daily and then decrease the frequency to once to twice a week. The natural antibiotics found in honey aid in protecting against bacteria causing acne. Honey also helps to reduce inflammation that results in more severe acne scars. Along with that, honey also helps to keep skin soft, smooth and healthy because it’s a natural moisturizer. Simply, mix the two ingredients well and apply it on your acne scars. Thereafter, rinse your face after 15 to 20 minutes. Follow this method twice per day for quick results. You mix the olive oil and baking soda together to attain a paste. Then, you simply apply this paste onto your skin and gently rub in a circular motion with your fingertips. Continue doing this for around 3 to 4 minutes and wash it off afterward. This remedy can be used once daily. 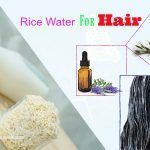 Blend all the ingredients together and immerse a cotton swab in the solution. Start applying onto your skin and let it remain on for ten minutes before washing off with lukewarm water. This mixture should be used twice per day to attain visible results. Banana contains the antiseptic, anti-bacterial and antimicrobial properties, which helps to destroy the fungus or bacteria causing inflammation & other discomforts of acne. It is also an excellent skin exfoliator, which can eliminate the dead skin cells, oil, dirt, debris, and other impurities clogging the pore. Furthermore, this fruit is enriched with iron, calcium, and magnesium, which provide anti-inflammatory properties. The properties can reduce the inflammation, irritation, and redness caused by acne. Mix the two ingredients in a blender until smooth. Apply the mixture to your clean skin and leave on for five minutes. Rinse using warm water afterward and pat dry. Repeat every day for fast results. Yogurt helps to protect skin from bacteria causing breakouts. Chickpea flour, on the other hand, lightens scars and exfoliates to take toxins out of pores. Mix all the ingredients excluding olive oil together to make a mixture. Then, wash your face and massage your clean skin with some olive oil for five minutes. Afterward, apply the mixture over the olive oil and leave on for fifteen minutes. Use cool water to rinse it and pat dry. Try to follow the process daily. Mix the two oils in equal quantities. Massage the oil mixture into your clean skin and leave on for a few hours. Rinse using lukewarm water afterward and pat dry. Steam can help to soften and loosen scar tissues effectively. Take some olive oil and massage it into your clean skin for five minutes. Keep it on for ten minutes. Boil some water and pour it in 1 large bowl. Now, drape a towel over the head and then lean the face into the steam for the duration of 10 minutes. Rinse with lukewarm water and cool water respectively and pat dry. It’s best to repeat three times per week. 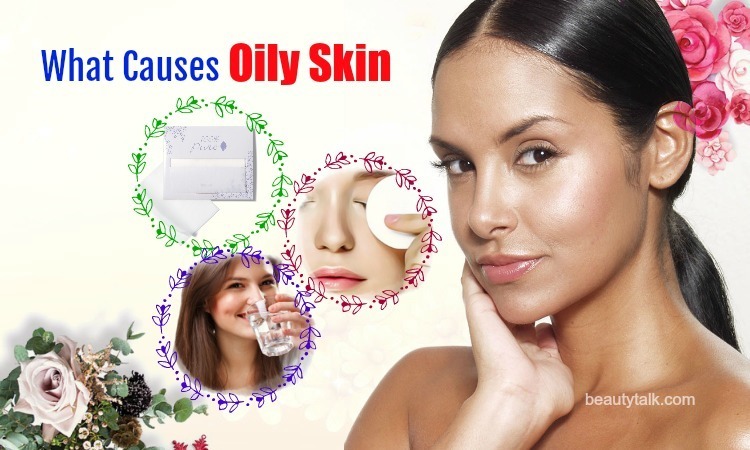 Extra virgin olive oil is generally a very effective and simple way to lighten and remove acne and its scars. It works best as combined with a regular exercise and healthy diet. Have you used any of these methods? 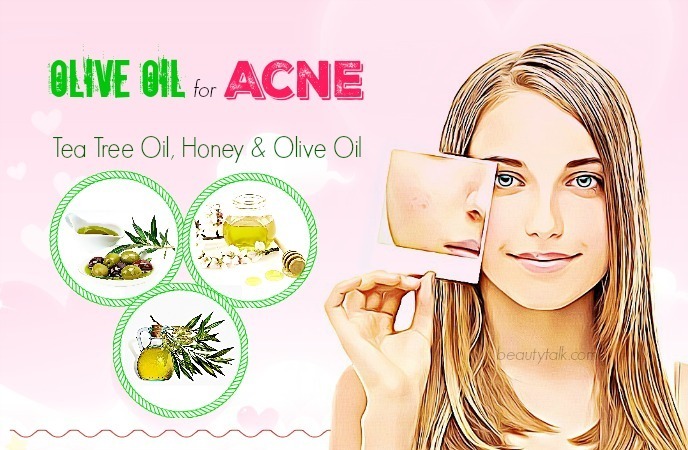 Do you know other ways to use olive oil for acne and acne scars treatment? Let us and other readers know by commenting below.